There are numerous types of insurance policies meant to cover all aspects of life so that you can have peace of mind about your financial future. While home and auto insurance can be complex to understand in their own ways, health and life insurance can be particularly complicated. When it comes to your well-being, long-term care insurance and Medicare are two types of policies you’ll want to learn more about. Uhrhammer Insurance Agency offers residents in St. Croix Falls, WI, all of these quality insurance plans. What sets them apart from other agencies is their dedication to helping clients fully understand the insurance coverage they’re purchasing. Uhrhammer’s health and life insurance experts help to answer some of the questions you may have about long-term care insurance and Medicare. Long-term care insurance is an investment that will cover your expenses when you need help performing everyday activities. It typically pays for in-home care, adult day care programs, assisted living services, and nursing home care. Although the majority of people utilizing the benefits of long-term care insurance are elderly, anyone who has been deemed medically unable to independently care for themselves may qualify. 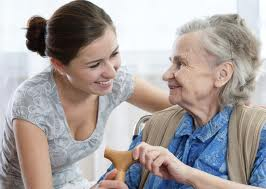 An unforeseen event can occur at any age that would make long-term care necessary. Medicare is a health insurance program designed for people who are 65 and older or who have certain approved medical conditions or qualifying permanent disabilities. The most important thing to understand about Medicare is that it’s broken up into four parts. What Are The Medicare Plan Options? The different Medicare plans are classified as Part A, Part B, Part C, and Part D. Part A is used to cover hospital and nursing care facility stays, some home health care services, and hospice care. Part B covers typical medical expenses. Part C, also known as Medicare Advantage, comes from private insurance carriers to supplement Parts A and B. Part D is a prescription drug plan. Whether you’re already shopping around for either of these coverages or trying to figure out if they are something you need, the health and life insurance specialists at Uhrhammer Insurance Agency can answer all your questions. Contact them at (715) 483-9129 or visit them online for a full list of life, auto, personal, and business insurance options.